We are manufacturing all types of Business Diaries, Executive Business Diary, New Year Business Diary, Leather Planner Diary, Business Planner diaries with100 page, 150 pages, 176 pages, 200 pages, 300 pages and 400 Pages in differents sizes from pocket to size to Executive level. Paper Size: L 7" x H 9.50"
Fostered with a team of highly experienced professionals, we have been able to provide Office PU Diary. We CNB are well known in the industry as pioneer providers of Corporate Diaries. Offered diaries are designed by high quality pulp & other material and exporting worldwide. We can do customization as per as your requirement. 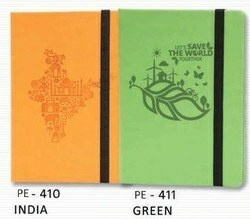 Bestowed with the vast knowledge of the domain, we are able to offer our clients a wide range of Office Notebook Diary. 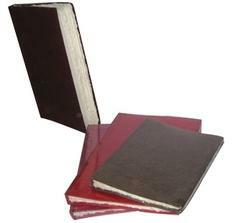 We are highly acclaimed in the industry for trading an optimum quality range of Office Diaries. - These office diaries are ideal for taking down notes for office activities and reminders. Matching up with the ever increasing requirements of the customers, we are engaged in providing Office Diary. Specifications - Size: 6 x 8.5" each | Dated | Page A Day | Ruled pages | Previous and next month for ease | Hardbound Cover | Colour Black || The WWF India Eco collection has been made from 100% recycled cotton remnants. This is then pressed into sheet by hand by highly skilled craftsmen and gives the appearance of leather. Very contemporary in look, comfort to carry & spacious to store are our ladies purse in browned coloured leather. The designs are chick & suits every age group. From formal to casual, these brown leather purses best compliment different types of attire. We have highly informative appointment diaries, which comes with page a day executive format for noting down the appointments, information, and notes under specific day and date.